‘SoberDrive’ from the United Kingdom won the Hyundai Skills for the Future Award. The student team included George Kershaw Houghton, Edward Kershaw Houghton, Callum Coles, Samuel Roberts and Lauren Palmer, and was chosen based on their winning concept of a socially responsible company, helping to reduce drink driving related incidences. Over the next two years a research project led by JA Europe, will test the impact of 50% penetration of entrepreneurship education among students (aged 15-20) in 5 countries across Europe. Students from 20 schools in Belgium, Estonia, Finland, Italy and Latvia, will participate in the ‘mini-company’ programme and gain a practical entrepreneurship experience. Using control groups and quantitative and qualitative research methods, the Innovation Cluster for Entrepreneurship Education (ICEE) project will analyse student learning outcomes and societal impact. The first pan-European body dedicated to moving entrepreneurship education forward in Europe was officially launched. 50 entrepreneurship experts and 13 MEP Ambassadors are behind this initiative. 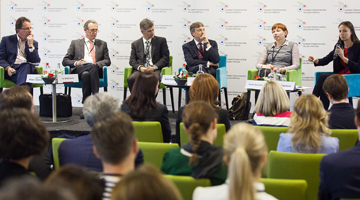 Encouraging European youth to consider careers in STEM is essential to ensuring a skilled workforce, ready to fill the high-tech jobs required to solve the energy challenges of the future. 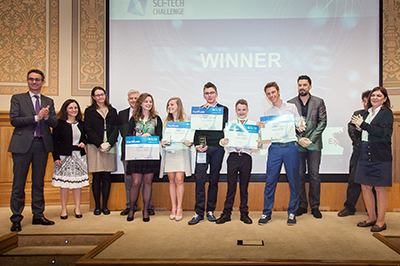 To foster this growth, Junior Achievement (JA) Europe and ExxonMobil have been working together to inspire young people to pursue STEM-related studies and careers through the Sci-Tech Challenge initiative. Junior Achievement Young Enterprise (JA-YE) kicks off the Fifth Annual Social Innovation Relay (SIR) today, supported by NN. The SIR is a global competition that challenges students to develop an innovative business concept that addresses a social need. The SIR provides young people with the hands-on skills and entrepreneurial expertise needed to start a successful career through a combination of virtual and face-to-face mentoring by experienced executives.